On the evening of Nov. 2, 1991, Gonzalez was driving two people in a car which included his friend, who was a drug dealer for a Mexican cartel, and an armed bodyguard. The defendant drove on McFadden Avenue in Santa Ana and pulled over at his friend’s request when they saw 50-year-old Salvador Murillo. Gonzalez waited in the car while his friend demanded that Murillo get inside the back of the car between the defendant’s friend and the bodyguard. At approximately 12:30 a.m. on Nov. 3, 1991, Gonzalez drove with each of the passengers to an isolated orange grove in Yorba Linda and parked the vehicle. Gonzalez then went to go turn the car around as his friend, bodyguard, and Murillo stepped out of the vehicle. Shortly thereafter, Gonzalez walked out of his car to the orange grove where his friend and the bodyguard were and learned that Murillo was shot and murdered. 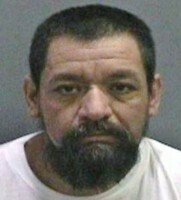 A short time later, Gonzalez drove everyone back to his friend’s home in Corona. Later that morning, the Brea Police Department (BPD) began investigating this case and discovered a beer can next to the victim’s body. After exhausting all leads, the case went cold. In 2007, BPD swabbed the beer can for DNA to submit to the Orange County Crime Lab for analysis. The DNA sample was then entered into the national DNA database. In 2014, there was a DNA hit that matched Gonzalez after he submitted DNA into the database following a conviction in Texas. Investigators from the Orange County Sheriff’s Department (OCSD) re-opened the case and went to the Texas prison where Gonzalez was being held. On May 11, 2014, Gonzalez was extradited and booked into Orange County Jail. BPD and OCSD investigated this case.